Holtsville, NY - August 30, 2013 - A motorist called 911 and reported that a landscaping truck was swerving on westbound Sunrise Highway in Yaphank. Highway Patrol Bureau officers responded and Officer Joseph Verdi attempted to pull the vehicle over at 12:19 a.m. The driver of the truck, Matthew Roy, refused to pull over and continued westbound on Sunrise Highway before the vehicle exited onto northbound Route 112 in North Patchogue. The landscaping truck struck and damaged a parked vehicle in a car dealership located on Route 112 in Patchogue. Highway Patrol Bureau and Fifth Precinct officers continued to follow Roy as he drove through residential areas of Medford and Holtsville. Officers deployed stop sticks which deflated one of the vehicle’s tires. The landscaping truck continued on and then struck and damaged two police vehicles. Roy stopped the vehicle at Fairview Avenue and 13th Street and began to flee on foot into the woods before he was taken into custody at 12:40 a.m. Following an investigation, it was determined that the truck, a 2000 Isuzu, was stolen from a business in Center Moriches on August 29. Fifth Squad detectives charged Roy with Driving While Intoxicated, Reckless Driving, Unlawfully Fleeing a Police Officer, two counts of Criminal Mischief 2nd Degree, one count of Criminal Mischief 3rd Degree and one count of Grand Larceny 3rd Degree. Roy, 22, of 35 North Trainer Ave., Manorville, is scheduled for arraignment at First District Court in Central Islip on August 31. 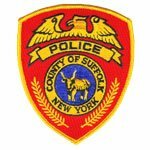 Subject: LongIsland.com - Your Name sent you Article details of "Man Driving Stolen Truck Arrested for DWI Following Pursuit"